Here you will find photos from the most recent events and activities at Harford County Public Schools as well as an archive of photos from years passed. 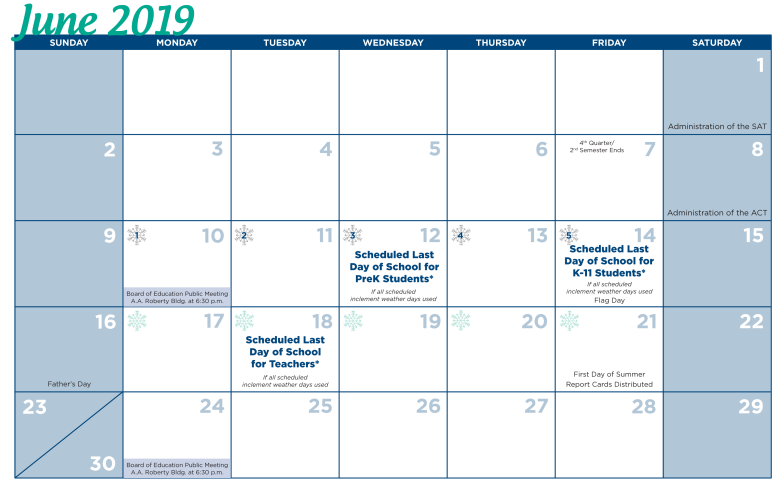 Please note: June 17-21, 2019 must be designated on the HCPS 2018-2019 school calendar as days on which schools could be open for students if the number of days needed for inclement weather closings surpasses the five built into the calendar. 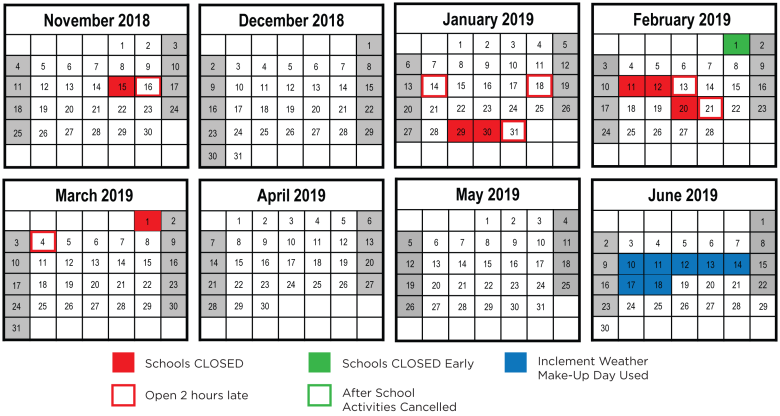 Legislation passed by the General Assembly notes that school systems are to build in up to five days past the June 15 mandated closing date to be used in the event of excessive inclement weather. The 5 additional days must be utilized prior to requesting a waiver from MSDE. Below is the sequentially ordered list of make-up days that will be used in the event of inclement weather during the 2018-2019 school year. Dates with a line through them are dates identified as inclement weather make-up days that have been used and are now dates when school is in session. **The scheduled last day of school for teachers will be two days following the last day of school for K-11 students.